Our friend Skye Jethani is at it again, causing trouble and making us think. If I may sum it up, Mr. Jethani’s concern this time out is that church has become so easy that we approach it on autopilot. Comfortable seats, convenient schedule, digestible three-point sermons with pre-organized PowerPoint handouts. He wonders if maybe we might be better Christians if we had to actually try at little. If we had to be a little more like the Lord Jesus himself in the way we communicate truth. Tom: Does that sound like a fair representation, Immanuel Can? Immanuel Can: In the rest of the article he explains why. He thinks it’s padded seats, prepared notes, three-point sermons and so forth that make Christianity “too easy”. But it’s his answer that is too easy. Tom: Interesting. What makes you say that? IC: I think these things might not necessarily be causes of anything. They might be effects of some more important cause, but in themselves, they don’t seem an adequate diagnosis to the situation of sluggishness in the church. If we take him at face value, we might end up just missing the point and focusing on superficial stuff. Tom: There is no denying that some church experiences are definitely more comfortable than others, and I can see how at least some of that comfort may be a consequence of some other factor rather than an issue in itself. Mr. Jethani mentions padded seats. 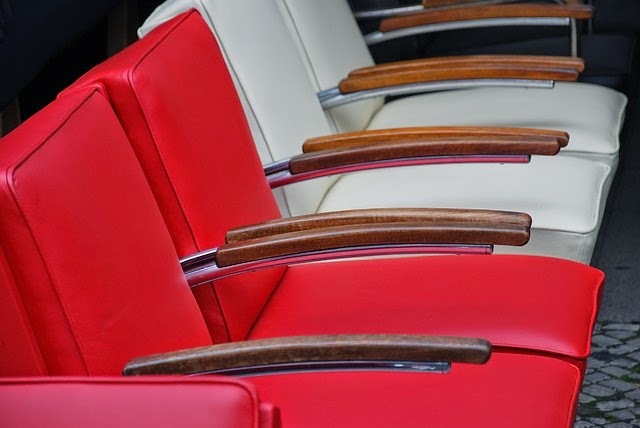 If the seats in your church are padded, it may be because someone in charge — likely more than one person — made a decision to prioritize comfort over, say, missions, or wanted an auditorium more appealing to visitors. Either decision may well reflect priorities and mindsets not completely in line with those of the apostles. But he also mentions things like three-point sermons and PowerPoint presentations being “easy”. Is it the style of presentation that is too easy, or is it possibly that many sermons are trivial, unchallenging and unmeaningful? IC: Well, that’s a very different thing, isn’t it? On to that in a minute. Could I jump back for one last comment on the padded seats? Perhaps they look like obvious luxuries. Yet I also know of a church building in which they decided to install them because they hold more people than pews (People don’t spread out or “aisle hog” as much, and open spots are more obvious.) Thus they decided to change the format of the seating instead of expanding the whole building — a massive saving of funds for other uses. I suggest that could simply be good stewardship. So we ought not to judge rashly: things like padded seats don’t automatically indicate selfishness. Tom: Fair enough. It’s one possibility, and I wouldn’t want to make a thing of it. Each church has to decide for itself how best to prioritize spending what belongs to the Lord. I’m just pointing out that comfort, as you say, may be a symptom of another spiritual issue rather than a starting point in itself. IC: But now, on to the sermons … you were saying? Tom: I was saying it may not be that the presentation of the sermons is too simple. It may be that the content is not relevant to the audience; it may be that the speaker is not a very good communicator or not very biblical; it may be that he knows how to get spiritual truth out of scripture but not how to apply it well. All these are content issues rather than presentation issues. A simple, clear presentation may actually be fine. IC: Oh yes ... preferable, in fact. There’s no reason to make the truth artificially complicated. Clarity is always a virtue. But if there is no truth there, or if there is only pandering to popular tastes, then that would be a problem. And I do think that our age is one of peculiar impatience: no one today is willing to sit still to let God speak as he wills — they demand instant evidence they’re going to “get something” from the experience, and that it ought to be “something” handy for a purpose they already have in mind. What we’re really missing is that extremely humbling and uniquely transformative action of genuinely listening to the word of God. We’re too busy telling him what we want. Tom: I absolutely agree with that. Mr. Jethani talks about the model of the Lord Jesus. I think I initially agreed with him that the Lord’s teaching was frequently challenging, but on reflection it seems to me the difficulty with understanding him was in his content, not in any sort of deliberately obscure delivery method. The parable of the sower and the seed, for instance, is perfectly understandable in its surface meaning; the presentation is quite clear. It’s the content that’s difficult and requires spiritual discernment. Or the line, “eat my flesh and drink my blood”: the difficulty that arises in the listener is with the content, not the presentation. It’s the “what does it mean” part that is challenging to those who cared enough to reflect on it. IC: Quite. Simplicity of language and profundity of ideas are complementary features of good teaching. But simplicity isn’t enough to guarantee profundity. There’s plenty of teaching around that’s easy to digest but fails entirely to convey anything really important or to represent the mind of God. What we should look for in good teaching is ongoing transformation of the relationship between the Lord and the believer, such that this relationship continually grows, matures and becomes better. If our teaching is not doing that, then it doesn’t matter how “relevant” we take it to be: it’s not what God values. And we shouldn’t waste our time on it either. It’s “childish stuff”. I’m not completely comfortable with the first part, though of course he’s quite correct about the Lord not giving 3-point alliterated sermons. But the line “anything but crystal clear” doesn’t really work for me as a description of the Lord’s overall teaching style. He certainly said many things that were opaque to much of his audience, but he also said things that were absolutely transparent: the “woes” of Matthew 23 come to mind, along with much of Matthew 5-7. It seems to me that the clarity of the Lord’s ministry varied depending on his audience and how far along he was in his ministry. To say it was all one way or the other is simply not accurate. “Listen to him.” They didn’t do that very well, did they? Tom: Let’s bring this back to the subject of ministry. Do you think there’s any value in Mr. Jethani’s newly minted policy of deliberate opacity? For instance, he says, “I’ve largely stopped using slides or pre-written notes. If someone is going to ‘get’ something from my sermon, I now want them to have to work for it — at least a little.” I’m not sure that’s the goal we ought to strive for, myself. We may not see value in handing out notes to uninterested people, but can we not create engagement in some other way than simply being difficult? IC: Absolutely. If the sermon is lame, making it difficult to listen won’t make it less lame. Instead, try new methods. Change up the situation, so the audience can’t be passive. Make them talk. Challenge them to apply. Do some shepherding. Model better practices yourself. Have a group study. Make a work project out of it. Push away from the talking-head format, and create something involving and new … just don’t think you’re going to change anything by sermonizing. And you’ll do even less by obscure sermonizing. Tom: One thing I don’t believe he mentions is this: If church is too easy, is it possible that we are not involved enough? Sure it’s easy, if by “church” you mean pulling up to the door at 9:30 a.m. and dozing through a worship service, having coffee and a cookie between meetings while chatting to friends and then singing a few hymns, listening to a predictable homily and complaining about the quality of the special music before heading home for football. If, on the other hand, you come to worship aloud when the opportunity arises, to lead the singing, read the scripture, step into the library for a few minutes and pray fervently for the Lord to speak through the preacher, straighten up the hymnbooks, clean up after coffee time, chase down new people and say hello to them in between meetings, offer a word of encouragement to a struggling young person or help an older lady up the stairs, then I suggest church may become a little more challenging. Or to put it another way, is church a spectator sport for you? Then it probably does seem a little too easy.